International students may choose among several on-campus housing options or live in nearby privately owned apartment complexes. Students coming to our Intensive Language (ILUNO) program to study English as a Second Language should complete the ILUNO Housing Request. We will arrange housing for you. All other students should read the information on this page. University Housing provides apartment style housing on the Dodge and Pacific campuses. Learn about University Housing and then go to International Student Housing to apply. International students may choose to live on-campus in a variety of nearby apartment complexes. 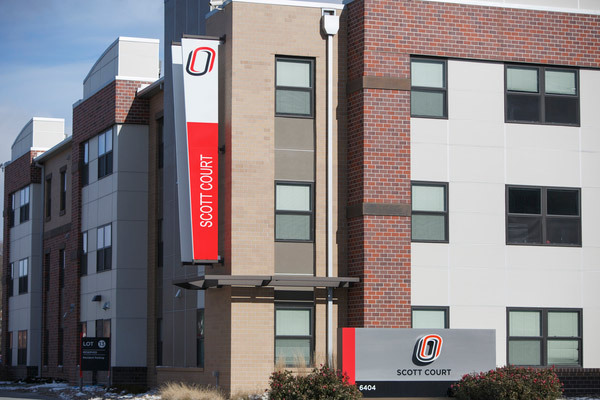 You can search for apartments by size, price, and proximity to campus through an off-campus listing service tailored to UNO students. The following apartment complexes have been used by international students in the past. They are not affiliated with UNO; as such, UNO does not inspect or offer any guarantee for the condition or quality of the rental units listed and does not endorse any of the listed properties. Be aware that shorter leases are oftentimes more expensive and that many apartments require refundable deposits or non-refundable application fees prior to moving in. In addition, most apartments require Social Security numbers to verify your credit in the U.S.
Affordably priced one-bedroom or one-room studio apartments with full kitchens. They are unfurnished, so residents need to acquire furniture and other household items. Short-term leases are available. They are located about 1.3 km from campus. One-bedroom and two-bedroom unfurnished units that are located close to the Peter Kiewit Institute and the College of Business Administration's Mammel Hall. The complex has a pool and is located about 1.75 km from UNO's main campus. Offer a more spacious option with one, two, or three bedrooms per unit. It is located about 2.5 km from UNO's main campus. Another spacious option that may be suitable for students or scholars with family members. The quiet complex has a pool and exercise facility. It is about 3.7 km from campus. 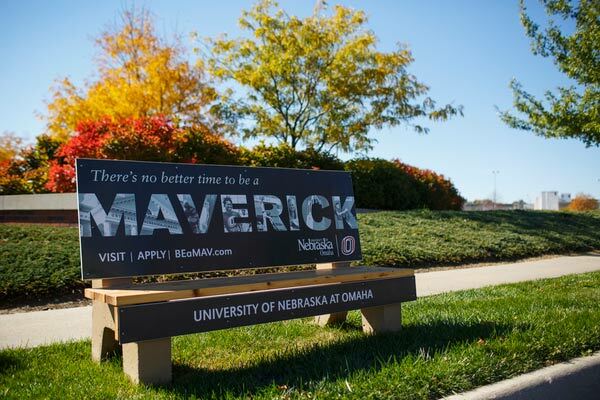 UNO on-campus housing may have a waitlist. Temporary housing options are available while searching for an apartment in hotels on or near the campus. Please contact your advisor for more information. 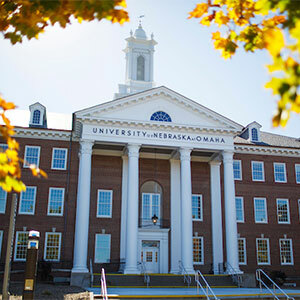 If you are an exchange student or attending UNO through a program such as Fulbright, ISEP, or IREX, apply for on-campus housing here as soon as you are admitted.